Samsung has manufactured Windows handsets in the past, and the company seems eager to continue that trend this year, SamMobile reports. The company aims to release a low-end Windows phone that runs version 8.1 of the mobile operating system (OS) in Q3 of this year, but it’ll need to get past a few roadblocks first. “Samsung is reportedly waiting to resolve its Android patent royalty issues with Microsoft before it moves to support the latter’s mobile operating system,” according to SamMobile. Samsung refused to pay owed patent royalties to Microsoft following the latter’s acquisition of Nokia. Microsoft filed suit against the Korean manufacturer in August 2014. Now, Samsung is showing honest interest in the Windows OS for some of its future lower-end handsets. 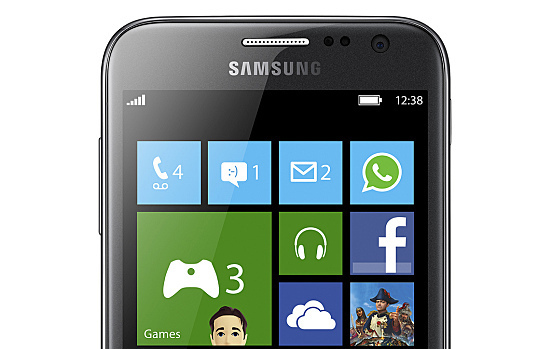 SamMobile mentions that a Samsung-branded Windows Phone could hit shelves by the third quarter of this year. The new Windows 10 or Windows Phone 10 OS should be out by that time, and will likely be available as an update from Windows 8.1. According to SamMobile, Samsung believes that supporting the Windows OS will help reduce its dependency on Google’s Android OS. Samsung is also in the process of implementing the lighter Linux-based Tizen operating system on a number of its devices. The Tizen OS currently runs on the Gear S smartwatch and the recently unveiled SUHD Smart TV. It will also be used for the new Samsung Z1 smartphone, which is going to be released in India. Would you consider purchasing a low-end Samsung Windows phone?